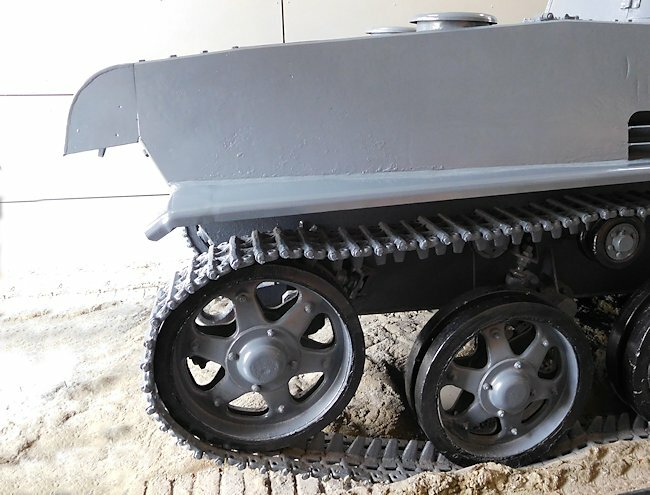 This Swedish built mid 1930s Landswerk L-60 tank was ahead of its time when it was designed. It was armed with 37mm Bofors guns which was capable of penetrating the armour of most European tanks during 1935-1939, but due to the problem of finding the correct ammunition the Irish Army's L-60 tank was fitted with a 20mm Madsen anti tank gun. The National Museum of Ireland is in the old British Army barracks now called Collins Barracks, on a road called Arbour Hill. It is to the west of the center of Dublin. The Red Line Luas tram stop called 'Museum' is only a few minutes walk away from the Barracks. The building is very impressive. Admission is free. It is closed on Monday. It is open Tuesday to Saturday 10am to 5pm. On Sunday it is closed in the morning but is open 2pm to 5pm. You can take the DART train to Connolly Railway Station. Outside the Train station catch the Red Line Luas Tram towards Dublin city centre. The Museum stop is 6 stops away. The nearest train station is Heuston. Outside the Train station catch the Red Line Luas Tram towards the Museum tram stop. It is only one stops away. 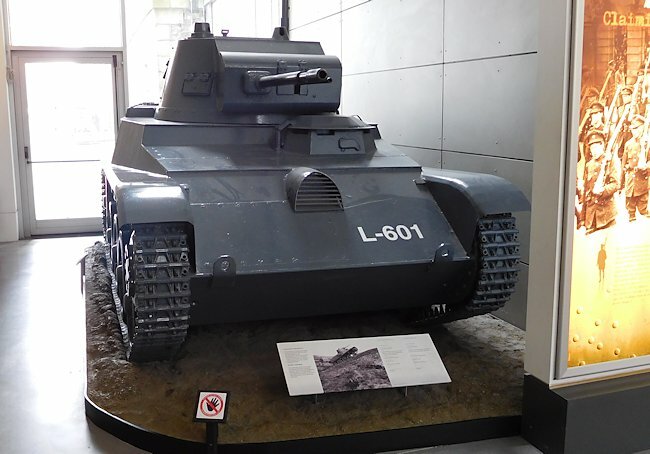 The two Swedish built Landswerk L-60 tank purchased by the Irish Army were powered by a V8 Ford petrol engine that produced 160 hp rather than the Swedish Scania-Vabis 1664 in-line 6-cylinder water cooled overhead valve engine. It had a top road speed of 31 mph (50 km/h). The tank had an operational range of around 170 miles (270km). It had a three man crew: commander, driver and gunner. They were protected by armour that ranged in thickness from 5mm to 15mm. It weighed 6.8 tonnes (7.5 tons). It was armed with a 20mm Madsen anti-tank gun and a 0.303 inch (7.7mm) machine gun. It was felt that the 20mm gun wouldbe sufficent. The German Panzer II was only armed with a 20mm gun. 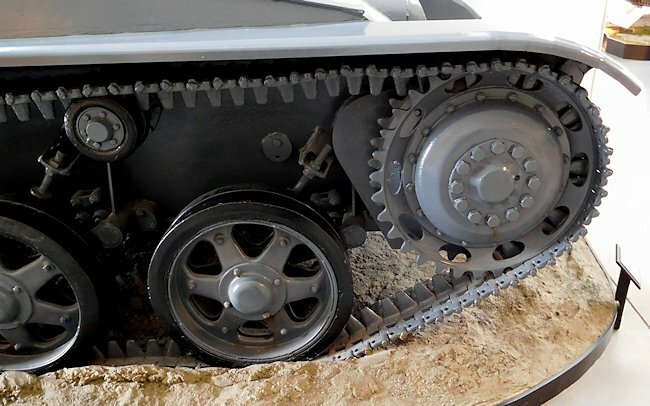 The L-60 light tank was fitted with a new torsion bar suspension system that gave the tank excellent cross country performance for their time. 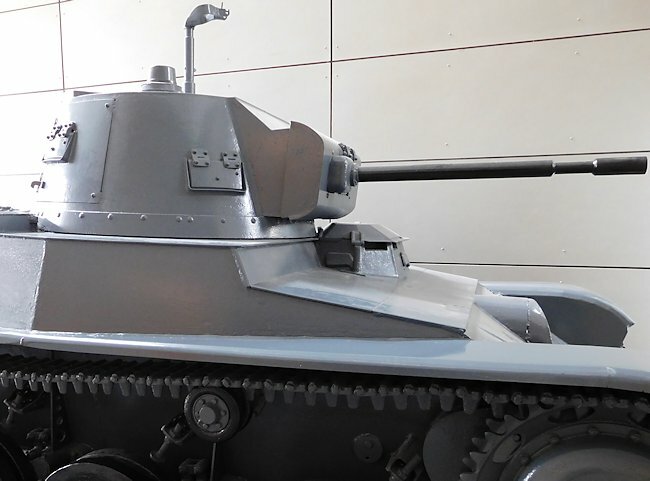 ThL-60 tank was technically advanced compared with other inter-war tanks because it had a welded chassis rather than a riveted chassis. It was much stronger and less likely to crack open, when hit by an enemy shell, at the armour plate seam. The rivets you can see on the front of the tank were to hold internal structures and equipment in place not keep the armour plat together. It was designed and built by the part German owned Swedish company called AB Landsverk. German Tank Designer Otto Merker (1899-1986) joined the staff to assist with the new tank project. The company name for this tank was the L-60. They went on to produce four variants of the same basic design: the L-60, L-60A, L-60B and the L-60C. The early L-60 was not used by the Swedish Army unlike the other later variants. It was not given an official Swedish Army designation. It was not called the Stridsvagn Strv m/36 tank. Swedish Army gave the tanks variants their own designation. They ordered 15 L-60 S/I (Strv m/38) light tanks in 1937 and they were delivered in 1939. They ordered 20 L-60 S/II (Strv m/39) light tanks in 1939 as it looked like there would be a European war and they were delivered in 1940. As WW2 continued the Swedish Army ordered 100 L-60 S/III (Strv m/40L) light tanks in 1940 and they were delivered in 1941. The army ordered 80 L-60 S/V (Strv m/40K) in 1942 and they were delivered in 1944 by Karlstads Mekaniska Verkstad (Karlstad Mechanical Engineering), a subcontractor that assembled the tanks. The Landsverk L-60 was significantly lighter than the earlier L-10 design at 7.5 tons instead of 11.5 tons. It had a welded slopped front armoured hull that added to the protection of the crew. A angled armoured plate was harder to penetrate than a vertical plate. 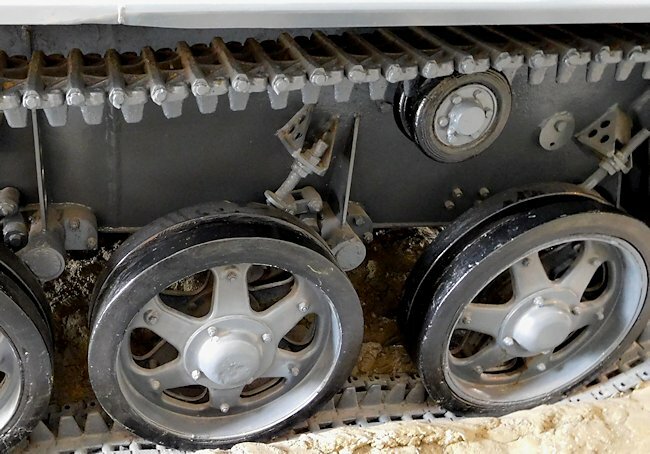 It also assisted in keeping the tank's weight low. To keep the same amount of armoured protection offered by an angled plate using a vertical mounted plate would have required the metal to have been a lot thicker and heavier. Who else used the L-60 Swedish light tank tank? The Austrian and Hungarian Army each purchased a L-60 tank for evaluation. Hungary licensed the manufacture of the L-60 and produced 200 tanks for their army. They called the tank the Toldi. It was used during the second world war fighting against the Soviet Union. 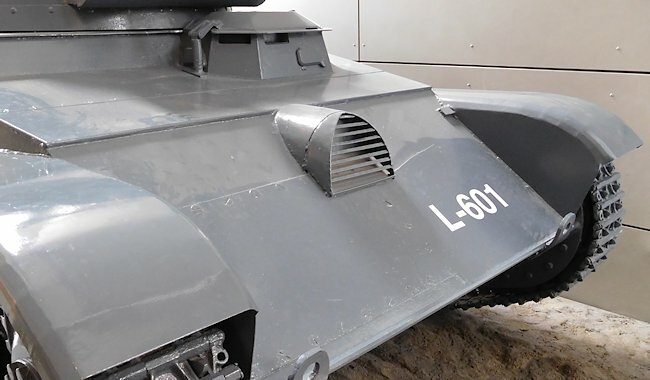 Where can I find preserved L-60 tanks?